Coast & Country Custom Homes has partnered with Progressive & Pacific Home Warranty because they share the same commitment to the customer as we do. Coast & Country Custom Homes Ltd has chosen to partner with Pacific Home Warranty. The industry standard coverage includes home warranty insurance for three different time periods, covering three different aspects of home construction. This is often referred to as “2-5-10” coverage. The 2-year materials and labour warranty includes: 12 months any defects in materials and labour supplied for the electrical, plumbing, heating, ventilation and air conditioning delivery systems, as well as for the exterior cladding, caulking, windows and doors. The 5-year building envelope warranty includes the components that separate the indoors from the outdoors, including the exterior walls, foundation, roof, windows and doors. The 10-year building structural warranty includes defects in materials and labour for any load-bearing part of the new home. 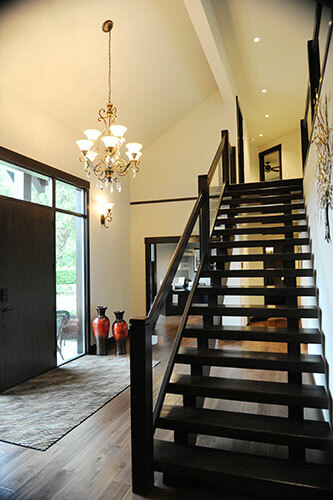 home design or custom renovation project in the Fraser Valley or Lower Mainland areas of BC.